This might seem kind of odd, but the LEGO guy might be our role model. We totally look up to that industrious little guy. We know it sounds a little crazy, but it’s true! Why? Well, it’s pretty obvious if you think about it for a second. The LEGO guy has a pretty impressive résumé. Since 1978, he’s held a TON of different careers, including pilot, racecar driver, police officer, astronaut, knight, ninja, pirate, deep sea diver, time traveler, archaeologist, wizard, Viking, Batman, cowboy, and… well, the list could go on for days. The point is that LEGO mini-figures had the potential to be anything that you wanted them to be! That’s why we can’t help but look up to the tiny dude. Is it even stranger that we’ve have dreams of actually becoming a LEGO guy? Just think about it! You could be anything you want in an instant! 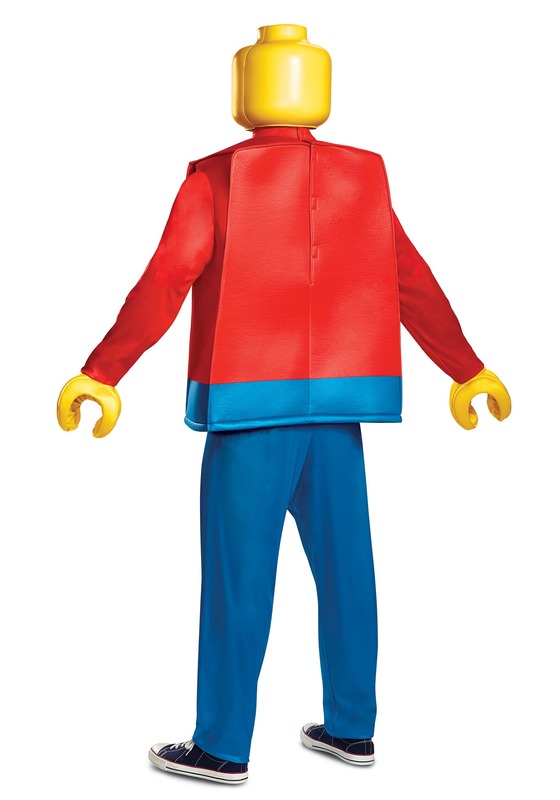 Just in case you’ve had any dreams of being a LEGO guy, we’ve found this gem of a costume! 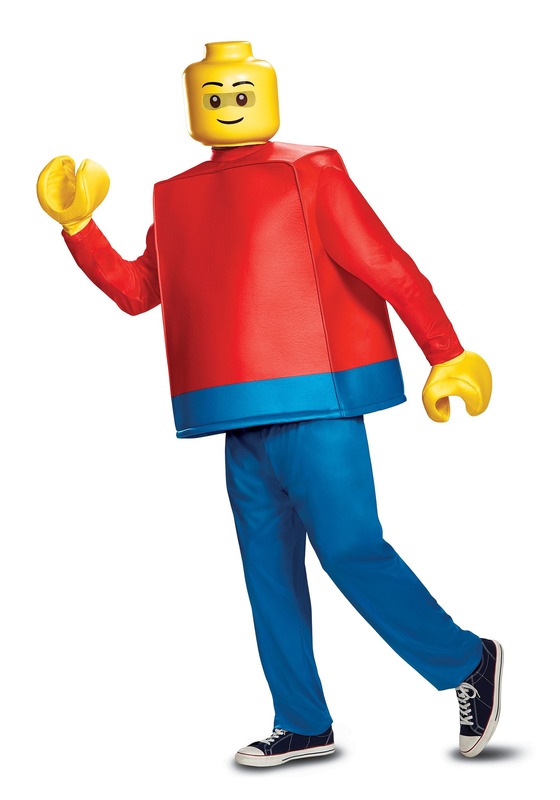 The adult LEGO guy costume gives you the rare opportunity to transform into the mini-figure from your childhood! It’s officially licensed from the toy series and it comes with a tunic-style top that recreates the classic mini-figure. It’s bright red with a boxy shape to make you fit in with all the other LEGO figures. You can even get the classic LEGO hands and head with this awesome outfit! Of course, the most appealing thing about is the ability to become ANYTHING under the sun. So, we recommend pairing this officially licensed costume up with a few accessories. If you want to become a pirate LEGO guy, just add a few pirate accessories. If you want to become a knight LEGO guy, just tote around a toy sword. Standard Pants Length 41" 41"